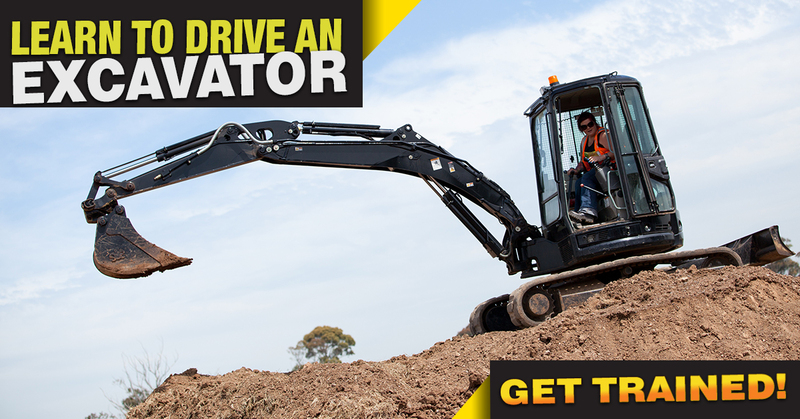 Learn to conduct excavator operations in the civil construction industry. Practical experience in various trenching techniques and bulk earthworks including pipe lifting techniques and load restraint. Our 4-5 Days excavator training and assessment course is for people with no previous experience operating this type of machinery. What type/brand of Excavator does Foresite Training operate? How many excavators does Foresite Training have? We have 2 Excavators. One is a Caterpillar 1.5 ton Mini excavator, second is a Yanmar 5.5 ton Medium Excavator. All students will get to operate both. Students will usually start on the 1.5ton and progress to the 5.5ton. Does the excavator have rubber tracks or Steel tracks? Does the excavator have an open cab or an enclosed cab (also known as an AC Cab or Closed cab)? The Cat has an open cab. The Yanmar has a fully enclosed, heated and air-conditioned cab. What attachment (buckets) does the excavator have? Both machines have 3 buckets, a mud bucket, a GP (general purpose) bucket and a trenching bucket. Students will learn how to attach all buckets using a manual hitch on the Cat and a Hydraulic quick hitch on the Yanmar. Also, we can instruct students on the use of our Auger (post hole digger) if time permits.